Kites Fight is an 3d pseudo-physics environment. Triangle shapes attract, repel and attach to each other following different rule-sets. Patterns form if the system is stable enough. The volume of the sound input influences the friction parameter and different action-commands. 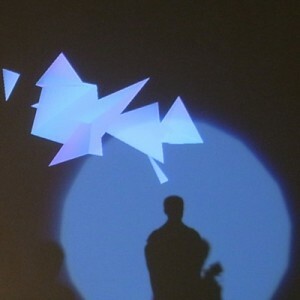 Posted in Projects and tagged 2008, audioreactive, generative, openframeworks, visual.